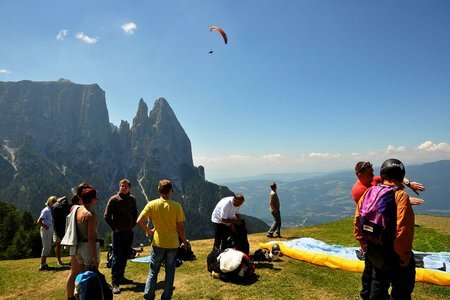 Glide through the air with a paraglider and experience the unique mountain landscape of the Dolomites, UNESCO World Heritage Site, from above. 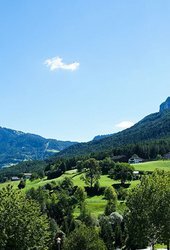 300 days of sun per year promise amazing views of the Sciliar/Schlern, the emblem of South Tyrol. 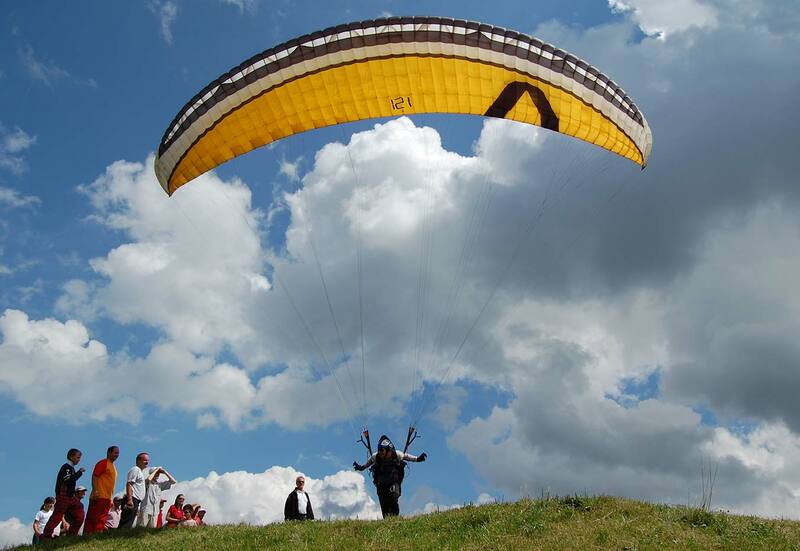 The launch area for paragliding tandem flights is the Spitzbühl, much loved by paragliders from far and wide due to its optimal thermal currents. 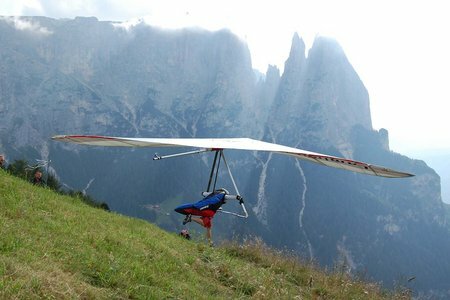 There are very few places you can feel as close to the Sciliar as you can from above, on a paragliding flight. When paragliding in the Dolomites, the dream of flying can come true even for those unfamiliar with the sport: experience the Alpe di Siusi/Seiser Alm from a bird’s eye point of view together with an experienced paragliding pilot. 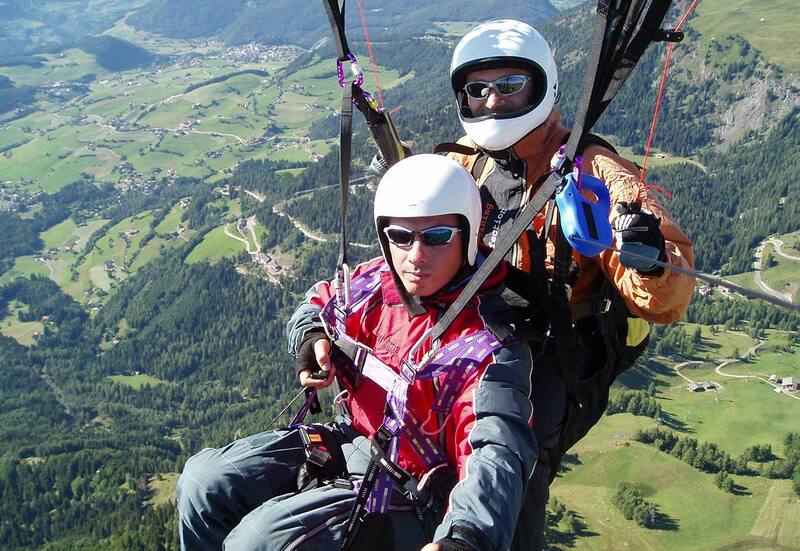 Your tandem pilot will let you know when the weather is right for your flight over the Dolomites and will provide all the necessary equipment, from helmet to flight suit. Paragliding – flight route: launching off from the Spitzbühl, passengers and pilots rise up after just a few steps of running and glide down to S. Valentino/St. 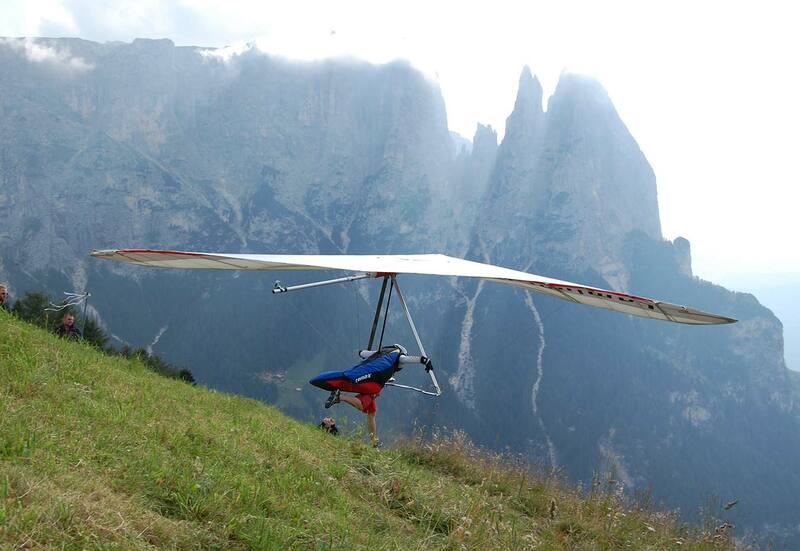 Valentin in the valley. 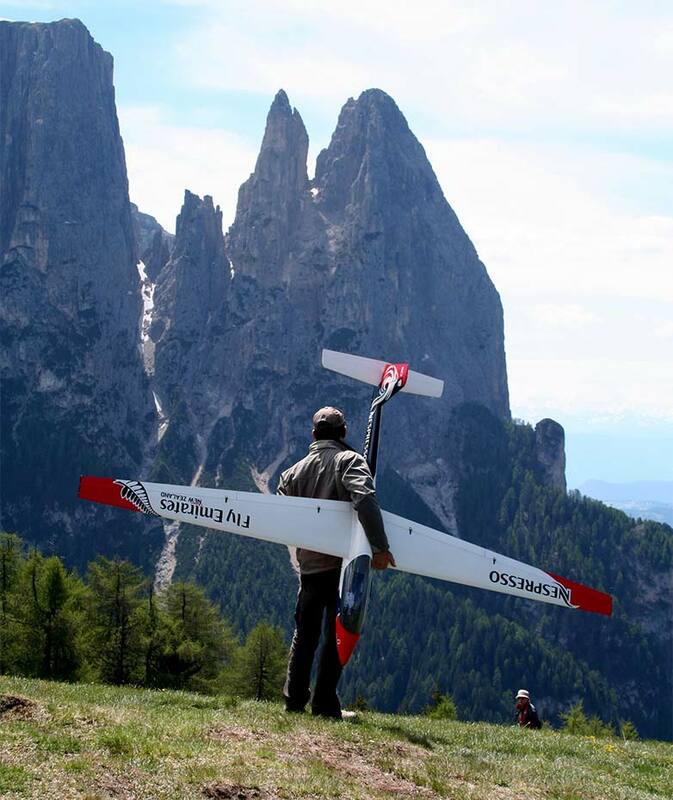 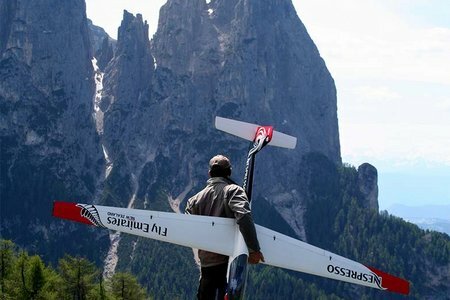 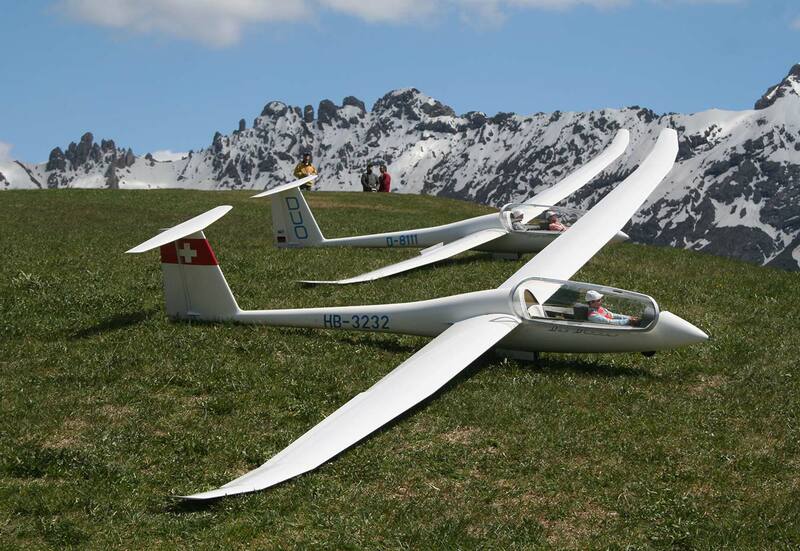 The flight team will organise mountain transport from Castelrotto/Kastelruth to the Alpe di Siusi.